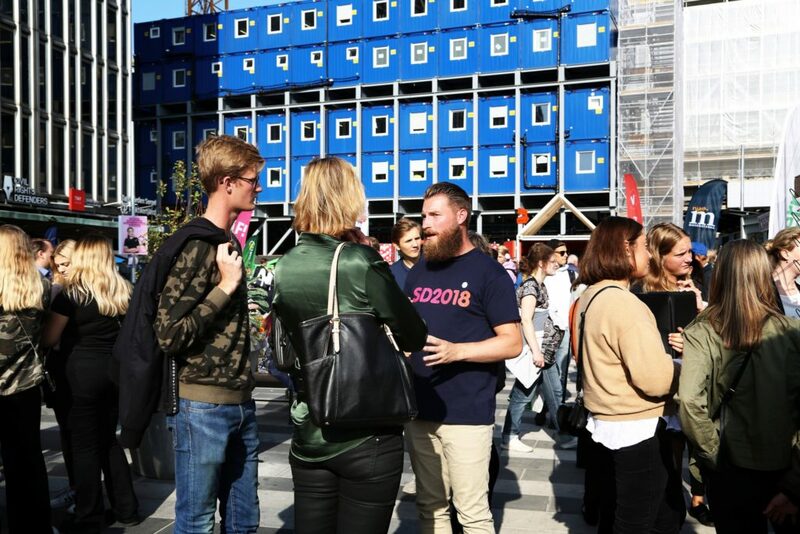 STOCKHOLM — In a civic center in Rinkeby, a heavily immigrant district of northwest Stockholm, several hundred people gathered recently for a forum on Sweden’s coming election and the future of the country. The conversation, about the nature of Sweden’s democracy and the importance of voting, was sophisticated and passionate. But it was frustrating for one participant, Ahmed Ali, a Somali immigrant, who thought people were dancing around the main issue. As an angry and divided Sweden prepares to vote on Sunday, the shape of the next Swedish government is utterly unclear, because of the rapid rise of the anti-immigration, anti-Europe Sweden Democrats, a populist nationalist party that is expected to win a fifth of the vote. Sweden, long considered “a moral superpower,” as the political scientist Lars Tragardh put it, has traditionally welcomed immigrants. But that is changing under the pressure of globalization, immigration and anxiety about national and cultural identity. As in Germany and France, parties of the extremes, of the left and especially of the right, are increasing their support at the expense of those that have traditionally dominated. The melting was in evidence recently in Sergels Square in central Stockholm, where Martin Westmont, a candidate for the Stockholm regional council, made the Sweden Democrats’ case to the voters. “We’re the new wave,” he said. The election “will be a revolution.” He predicted that the Social Democrats, the party who built the famous Swedish welfare state, would collapse, “even if not this time,” and “we will become the largest party.” Many voters were still reluctant to tell pollsters that they would vote for the Sweden Democrats, Mr. Westmont suggested. Populism has shifted the political discourse to the right and raised the temperature, even among the traditionally phlegmatic Swedes. Political support is fragmenting, with the long-dominant Social Democrats heading for their worst showing in a century. They are losing voters to the Left Party and the Greens, especially after this summer of extensive forest fires, but also some working-class voters to the far-right Sweden Democrats. The Moderates have lost even more to the far right. The migrant wave of 2015 flowed mostly to Germany and Sweden, regarded as Europe’s most welcoming nations. Germany took in more than one million, while 163,000 arrived in Sweden seeking asylum, a large number in a country of 10.1 million. If the panic in Sweden has been less than in Germany, the political impact has been similar: the rise of a far-right, anti-immigrant, nationalist party — Alternative for Germany in one case, and the Sweden Democrats in the other — that is upending old certainties. Political elites here as elsewhere “underestimated how much people still live in national democracies,” not some global stew, said Professor Tragardh, who teaches at Ersta Skondal Bracke University College. As in Germany, stiffer border controls were quickly introduced in Sweden and the numbers of new immigrants fell steeply, to about 23,000 this year. But the political damage had been done, and despite a thriving economy and low unemployment, the Sweden Democrats argue that immigration should stop and that resources should go to refurbishing the welfare state strained by an aging population, gang violence and the challenge of taking on migrants. Integration of newcomers takes up to seven years, because of tough labor market requirements, insisted upon by Sweden’s trade unions, and the challenges of the country’s language and of its culture, which is more comfortable opening its borders than its homes. The rise of the Sweden Democrats masks the decline of the Social Democrats, who are synonymous with social democracy in Europe and have come first in nearly every Swedish election since 1917. But while they got over 50 percent of the vote in 1968 and more than 45 percent in 1994, their support has dwindled steadily to about 25 percent, reflecting declines in support for socialist and left-center parties elsewhere in Europe. If the Sweden Democrats, as expected, get around 20 percent of the vote, that will make it impossible for either the center-left or center-right bloc to form a majority government. The other parties insist that they will not do any deals with the Sweden Democrats, but the question has already cost the Moderates one leader and is bound to come up again in the days after the election, no matter which bloc ends up larger. The surge of the Sweden Democrats, with their roots in Swedish fascism and neo-Nazism, has astounded many. Under a young leader, Jimmie Akesson, the party has moved to expel its most extreme members and soften its message, symbolized by the switch of its logo from a flaming torch to a floppy version of the blue anemone, one of Sweden’s favorite flowers and a harbinger of spring. The strategy seems to be working. The party crossed the 4 percent threshold for parliamentary seats in 2010, getting 5.7 percent of the vote; in 2014, it won 12.9 percent. It could now become Sweden’s second-largest party, with all the complications that could bring. The Sweden Democrats have not abandoned their traditional slogan, “Keep Sweden Swedish,” but have downplayed it in favor of “Security and Tradition.” What they are selling, most people agree, is nostalgia for a mythic Sweden of the 1950s — safe, prosperous and white. They vow to protect the civil religion of the welfare state and restore the “Folkhemmet,” or the “people’s home,” the idea of the nation as a family where everyone contributes and cares for one another. That concept was created by the Social Democrats, but many consider it threatened by immigration, Islam and crime. And like other populist parties across Europe, they have been greatly aided by the 2015 migration wave, a rise in gang warfare in the suburbs of big cities and some coordinated and highly visible bouts of car burnings. Mr. Westmont, 39, the Sweden Democrats’ candidate for the Stockholm regional council, said his experiences growing up were typical of many in his generation who have soured on immigration. In the end, the Social Democrats and the center left may yet cling to power, and the Sweden Democrats may do well but again be kept out of the government. But the question of whether to make some deal with them, as mainstream parties in Finland, Denmark and Norway have done with their far-right rivals, or to continue to isolate them, is unlikely to go away.